Don't hate us, but we're really looking forward to autumn/winter - and these stunning fashion campaigns are making us giddy with excitement. Stand out pieces for A/W13: The shoes! We’ll take a size 4 in all of the wonderfully minimal sandals and courts, please Alexander. Why we love it: Steven Klein is known as the king of theatrical photography, however for this campaign he has channeled Balenciaga’s minimal aesthetic perfectly, creating yet another stunning image. 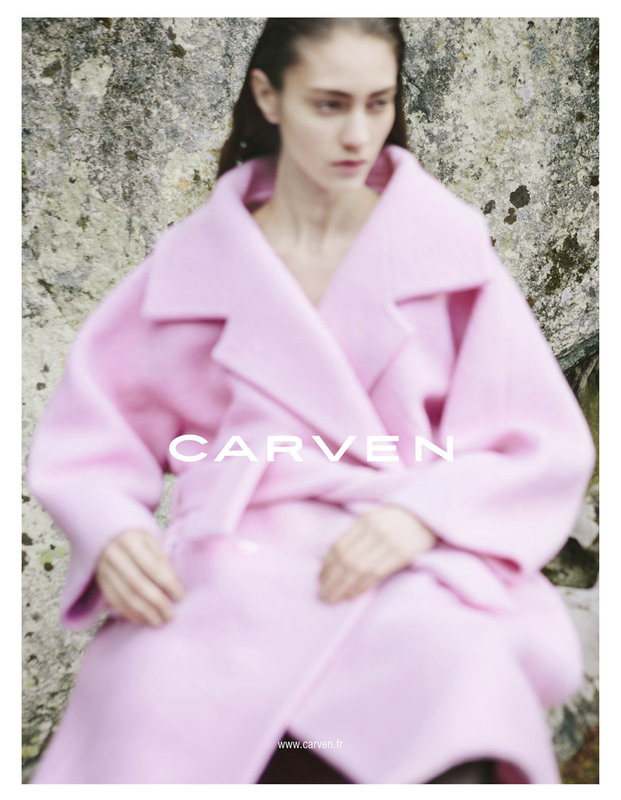 Stand out pieces for A/W13: The pink coat. We’re obsessed. 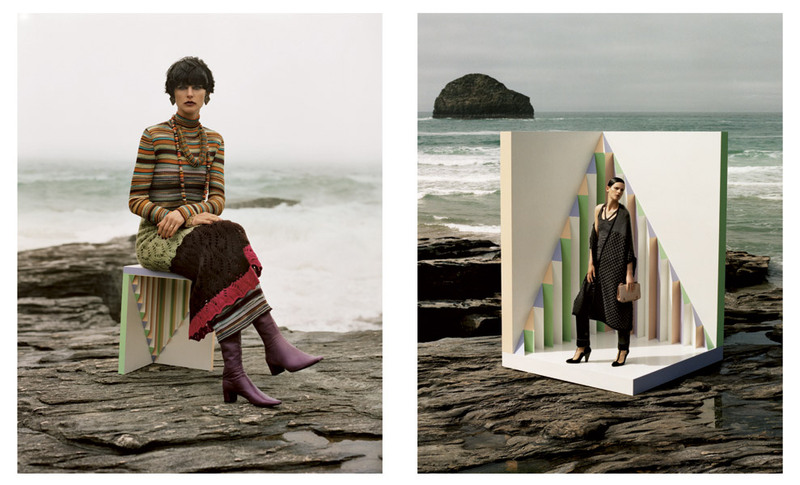 Why we love it: This is the fourth consecutive season Viviane Sassen has shot the Carven ad campaigns, and there are no clues for guessing why she has been asked back again, and again. Viviane’s take on campaign images is a breath of fresh air amongst the dark winter colours of AW13. Marine Deleeuw looks absolutely striking with her pale complexion and dark hair pulled back from her face. Stand out pieces for A/W13: The stunning mosaic pieces. Who wouldn’t want a dress based on the Cathedral of Monreale in Sicily? We are quite partial to a crown over here at MC towers, so a few of those would go down nicely too. Why we love it: In true Dolce & Gabbana style, you instantly want to be transported into one of their advertisements the second you see it. We want to be laughing and joking in a stunning embellished red lace dress whilst surrounded by handsome Italian men as much as any other woman. Bravo Domenico Dolce on capturing yet another perfect moment! Stand out pieces for A/W13: We’ll take one of everything from the collection and don’t scrimp on the leather jackets, you can never have too many bikers or sheer floral dresses for that matter. Why we love it: Givenchy are definitely on to a winner with this mother-daughter combination. You can’t go wrong with Carine Roitfeld, Julia Restoin-Roitfeld, Givenchy and Mert & Marcus. It’s simple fashion maths. Stand out pieces for A/W13: Fantastic oversized clutch bags in various colours. We’ve got our eyes on the forest green clutch and the black leather skirt from the collection. Why we love it: David Sims has reflected the entire feel of the collection in just one image. The hair and make up are stunning and Edie looks exceptional, as always. Stand out pieces for A/W13: A stylish set of silk printed pyjamas that you can leave the house in, what’s not to love? Why we love it: Our long time favourite photographer, Juergen Teller, has done it again – the girls look striking and effortlessly cool. Stand out pieces for A/W13: The cocooned robes look heavenly. Sign us up for every style and colour going. Why we love it: We love the juxtaposition of the minimal set design amongst the rocky Cornish coast. Stella is, of course, a total dreamboat, so looks great – as always. Stand out pieces for A/W13: This show was all about the accessories. All the looks came down the runway with neckerchiefs, belts and tights. We can see the navy quilted coat seeing us through until spring next year. Why we love it: A bit of the theatrical plus two of our favourite girls is only ever going to lead to good things. Lindsey and Georgia look like modern day sirens set to lead sailors astray just outside of New York City. Have a look at the video to see the other girls in action. Stand out pieces for A/W13: The entire collection. We want it all. But if we had to pick it would be the gold leather dress and grey cardigan combo. Why we love it: Fei Fei Sun looks divine in her gingham coat and wet look hair. The campaign is the epitome of effortless cool. We want to be these girls!